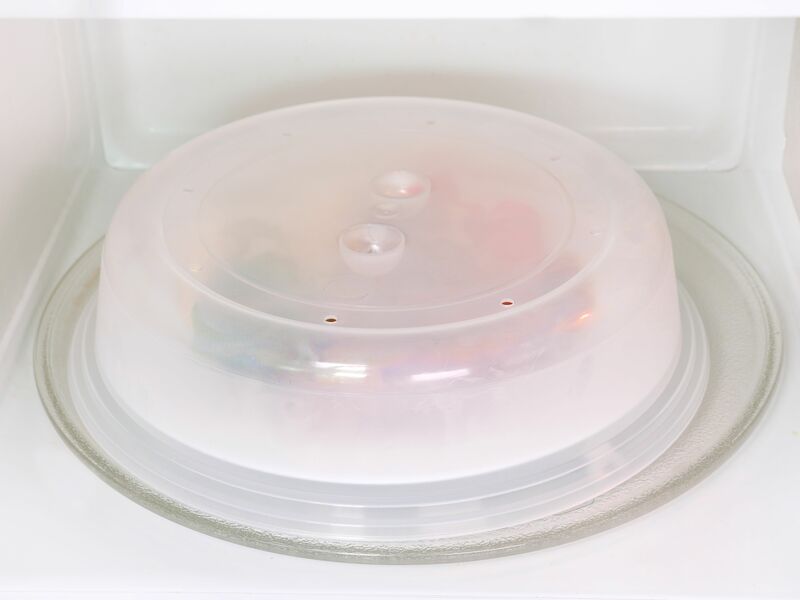 Microwave oven safe plate covers and stackers. Made by JWP. Plate covers and stackers for use in microwave ovens. Overall diameter 269 mm, height 65mm. Vented for easy steam release. Flat top enables plated meals to be stacked for reheating 2 meals at once. Easier and less mess than cling film. 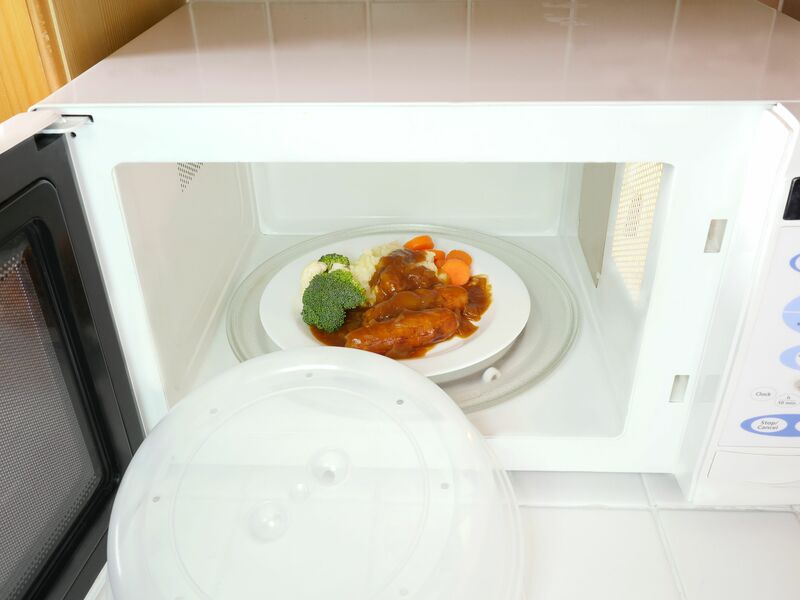 Perfect for reheating plated meals in the microwave oven, allowing the steam to circulate and at the same time acting as a spatter-guard to cut down on cleaning. 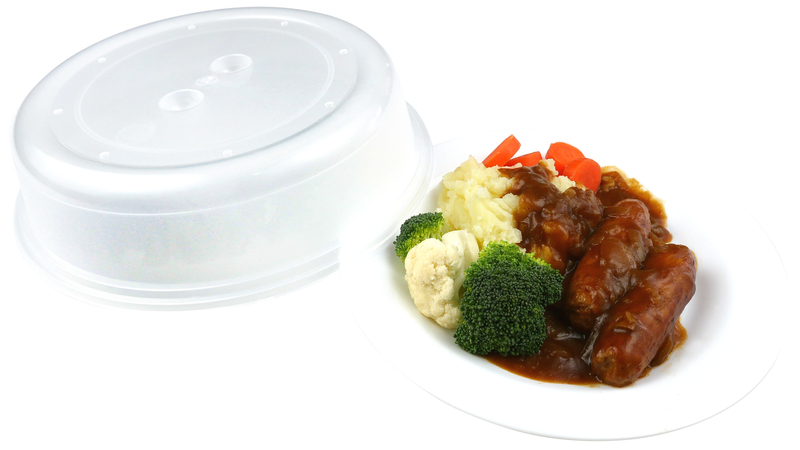 The covers can be used with a variety of different containers - not just plates. These plate stackers are microwave oven / fridge and dishwasher safe. These covers are not suitable for use on grill or convection settings - they will melt !